There used to be a time where the only beauty products you could find on Amazon were discontinued left-overs and the occasional suspicious high-ender that would probably come exploded. But a lot has changed over the years! Amazon has established themselves as a reputable beauty destination where you can find everything you need in one spot, and maybe even save a little money on your next beauty haul. Maybe you haven’t ventured into beauty shopping on Amazon too much yet… or, perhaps you’ve done your fair share but want to know how to shop smarter. Keep reading to discover reasons why you should always check Amazon first for your next beauty splurge or routine staple, and tips to get the most out of your shopping trip. For those products that you repurchase regularly without a doubt, Subscribe & Save can knock off up to 15% on your faves! On single products, you can save 5% when setting up a recurring delivery. If you subscribe to 5 or more products monthly, that discount goes up to 15%! You can basically design your own monthly beauty subscription box of things you know you’ll need on a recurring schedule: razors, period products (unless you’re using the Lily Cup, of course), hair care, deodorant… the list goes on and on. Why not save on the products you buy most? This is a fairly new way to save that I’ve been noticing when checking out. If you have Prime, which usually offers free 2-day shipping, you can opt for free “No Rush” shipping. This will reward you with either a discount on your current purchase or towards your next one. In the past, I’ve been offered $5 toward my next Luxury Beauty purchase, $5 toward Prime Now orders, or a smaller discount on the current order. If you’ve got patience, you’ll keep a few extra bucks in your pocket. Dash buttons are physical buttons that are connected to your Amazon account and programmed to re-order one particular product. This is great for the products you run out of, but always seem to forget to put on the shopping list. For me, that’s shaving cream. I get in the shower, see that we’re all out, but never think about it again until the next time I’m in the shower… and the cycle continues. The button itself costs $4.99 but that is applied toward your first purchase when using the button. It has an adhesive so you can stick it on a counter, inside a drawer, or on a mirror— any place you can immediately reach when you find out you need more of your must-haves! Let’s face it: you can pretty much buy anything on Amazon nowadays. Next time you’re buying literally anything on the site, check out the beauty section for your budget-friendly beauty staples before checking out. Many drugstore beauty products are even cheaper as “Add-On” items— meaning they’re priced lower when you add it onto a cart that’s already totaled $35+. Your cart doesn’t even necessarily have to have beauty products in it, you just have to hit that minimum total. Look for the blue “Add On” label on the search page to find these special markdowns. Okay, this is one that I personally just discovered and think is genius. 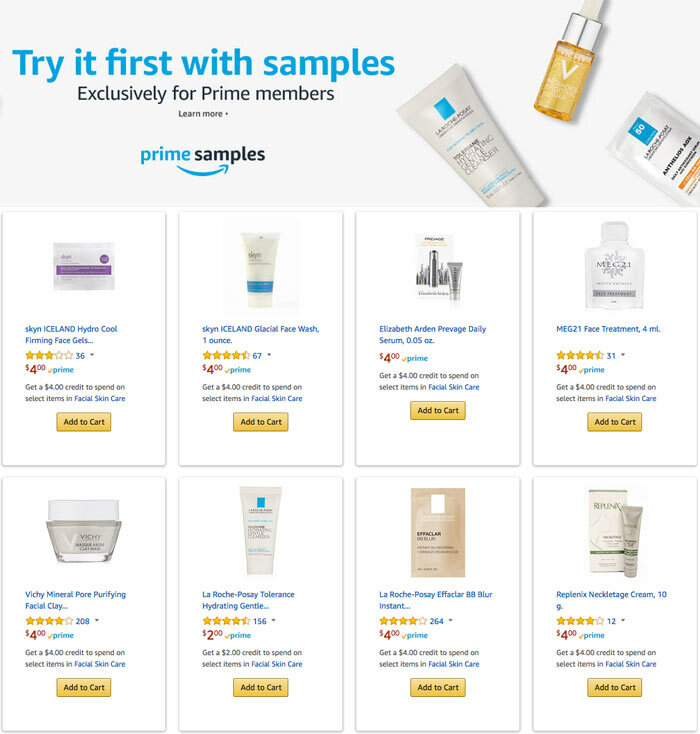 With Prime Samples, you can order samples of makeup, hair care, skin care, and more. These samples range from packets to travel-size and cost $2-$4 each. If you end up liking the product, whatever you spent on the sample gets applied as a discount toward the purchase of the full size! It’s a great system when you have a feeling you’re already going to like something but just want to be 100% sure. However, I’ve also been using it to score travel sized products of my faves that I already use for vacation, then saving the coupon for the next time I need the full size product. That way, I’m purely saving money. Yay Amazon hacks! This is something that seems to be popping up on selective accounts… so check if it works for you and let me know. For a limited time, you can get 15% off (up to $15) your first Luxury Beauty purchase. It says exclusions apply, but I’ve seen the discount work on several different items now as I’ve been testing it out— Clarisonic, Dermablend, Stila and even Jouer. There’s no indication of when this promotion ends, so I’m wondering if it’s just something that pops up now and again to try to incentivize sales. 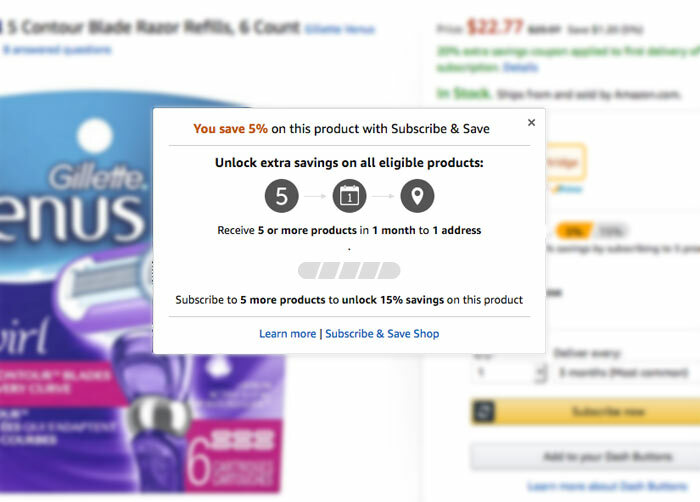 Click into a product and on the right hand side you’ll see a green button that says “Clip Coupon,” which will trigger the cart to apply the discount at checkout. 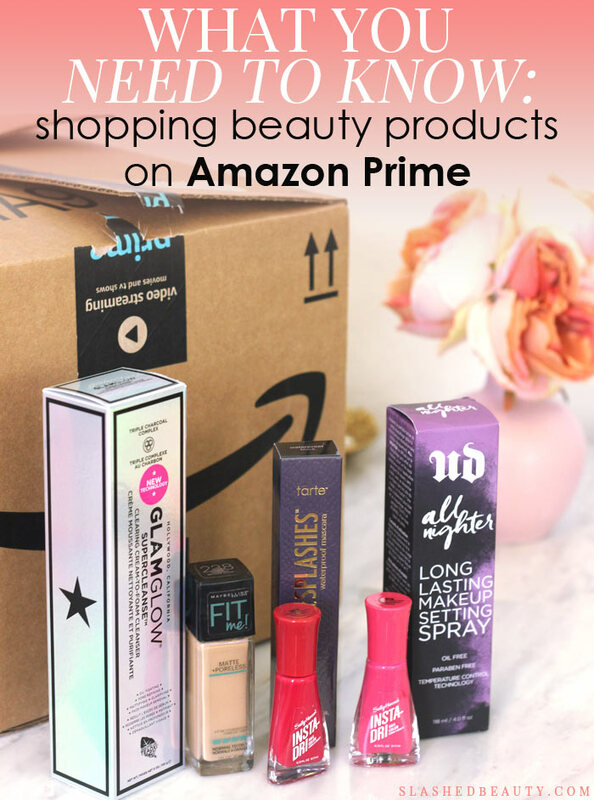 Do you do beauty shopping on Amazon Prime? Share your best tips in the comments!